I don't know about you but when going back to school I love to spend the majority of the time setting up my room, organizing files and getting ready for open house! My least favorite thing to do during the summer is lesson planning! Last year I created activities that I could use over and over again, year after year, for many different purposes! I taught in a special education classroom and did a lot with work jobs (aka: work tasks and work baskets), to create independence. There are so many names for them!! You can check out my original post about them here. These activities can be used for numerous purposes! You could use them as morning work, center activities, literacy centers, work baskets/work jobs and oh so much more! My students always need fine motor and vocabulary practice, which I why I have included 8 different school related items. I laminate mine and the students use a dry erase crayon (I hate markers for preschoolers) and we can use them over and over again! Being a special education classroom I have a wide range of needs! I created two different ways to practice reading color words. 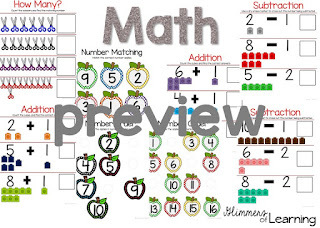 The first is the traditional way where students would match the correct color crayon to the word but on the right hand side you will find the color name in the correct color font. This will help getting students ready for color reading and also will allow those who cannot read the ability to do the same activity as your reading students! I have created this activity with 5 choices and also with 9 color choices! 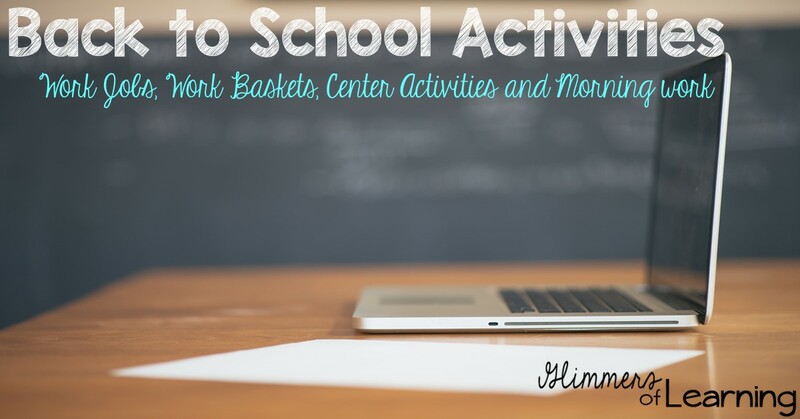 These are just a few of the activities you will find in my Back to School pack! In total you will get over 31 activities! A great way to jump start your year!! All you need to do is print, laminate and prep!! Here are some more options you will find, but there are many more! You can purchase the bundle here or click on any of the above pictures! Have a great start to your school year! !